I am pleased to welcome to the blog Dr. Robert Lance Snyder. Dr. Snyder has written the upcoming book John le Carré’s Post-Cold War Fiction. I haven’t read his book yet, but he has previously written The Art of Indirection in British Espionage Fiction and edited the spy fiction of Paradoxa, both of which I’ve read and are essential for anyone interested in spy fiction. In The Art of Indirection Snyder provides a scholarly analysis of some of le Carré’s post-Cold War novels and provided a sense of what direction he might take in his new book. Dr. Snyder was kind enough to answer my questions on le Carré and spy fiction in general via email over the course of the end of November/beginning of December 2016. I’ll be posting our discussion in three parts and we start out discussing his academic background, how he began studying espionage fiction and the longevity of le Carré. Jeff Quest: Could you talk a bit about your academic background and some of your previous publications? Robert Lance Snyder: After graduating from the University of Michigan with a B.A. in English, I earned my M.A. at Northwestern University and then taught literature for three years at a college in West Virginia. There ensued doctoral studies and a four-year stint of teaching at Wake Forest University before I completed my dissertation for conferral of the Ph.D. by Northwestern in 1979. That part of my history, I guess, makes me something of a peripatetic student. Most scholars, as Matthew Arnold recognized, are migratory gypsies. Something like that pattern continued for my next twenty-eight years of teaching English: Assistant Professor, Georgia Tech, 1979-84; Associate Professor, Seattle Pacific University, 1984-92; Professor, University of West Georgia, 1992-2007. In the last two of those appointments I received tenure and also chaired the departments for a total of eleven years. As far as publications go, since retiring from teaching I have written The Art of Indirection in British Espionage Fiction (2011) and guest-edited Espionage Fiction: The Seduction of Clandestinity (2012), the last being a special issue of the journal Paradoxa: Studies in World Literary Genres. During that time I’ve also published more than a dozen scholarly articles on such authors as Philip Larkin, Graham Greene, Eric Ambler, Geoffrey Household, John le Carré, and Len Deighton. A few more essays on Adam Hall and Francis Clifford, both of whom are neglected spy novelists, are either under review or in preparation. Besides being nomadic, academicians can be slightly schizoid in their scholarly pursuits. Because my Ph.D. dissertation was largely on Thomas De Quincey and Romantic literary aesthetics, I earlier had published a bunch of articles on him (as well as some on Lord Byron, Thomas Gray, Mary Shelley, and Thomas Malory) and edited a book titled Thomas De Quincey: Bicentenary Studies (1985). JQ: Related to that, you’ve written previously about how you fell into this line of study after writing about Joseph Conrad and Graham Greene. Can you speak to that a bit more and whether espionage fiction is purely of academic interest or if you also read the genre for pleasure? RLS: While a faculty member at the University of West Georgia, I taught a handful of graduate seminars on Conrad and Greene, as well as a few senior-level courses on espionage fiction and film. The impetus for that redirection in my scholarly interests probably originated when a widely read friend and colleague at Seattle Pacific, Luke Reinsma, recommended that I delve into le Carré’s oeuvre. I did and became captivated. It started, though, as a guilty pleasure, in part because “spy fiction,” tainted as it was at the time by the formulaic James Bond franchise (notwithstanding semiologist Umberto Eco’s fascination with Ian Fleming’s potboilers), was well below the radar in terms of literary respectability. The more I explored the genre’s antecedents not only in Conrad and Greene but also in John Buchan and W. Somerset Maugham, not to mention the pivotal Ambler, the more I appreciated that this was good stuff—genuine literature by any other name. So that’s how I shed my blinders and accepted the fact that espionage fiction or suspense/detection novels or whatever else one wishes to call these narratives tap into what as readers we find inherently compelling. JQ: That’s interesting and plays into something I was recently sent via Twitter from the spy writer Jeremy Duns. There was a great piece published by the Observer in the mid-seventies by Eric Ambler. In it Ambler defines what a “thriller” is but also discusses the lack of credibility that “genre” authors receive from both publishers and critics. Over forty years later this doesn’t seem to have changed dramatically. At a certain point does any author’s standing just become a question of longevity? If you hang on long enough, like le Carré and Ambler, you’ll eventually get some respect and a reconsideration of the quality of your work? My sense is that this early dismissal by the literary “establishment” played greatly into le Carré’s later refusal of literary awards and stated lack of interest in any literary criticism of his work. Does that (slightly grumpy) point of view have any impact on your work analyzing his writing? 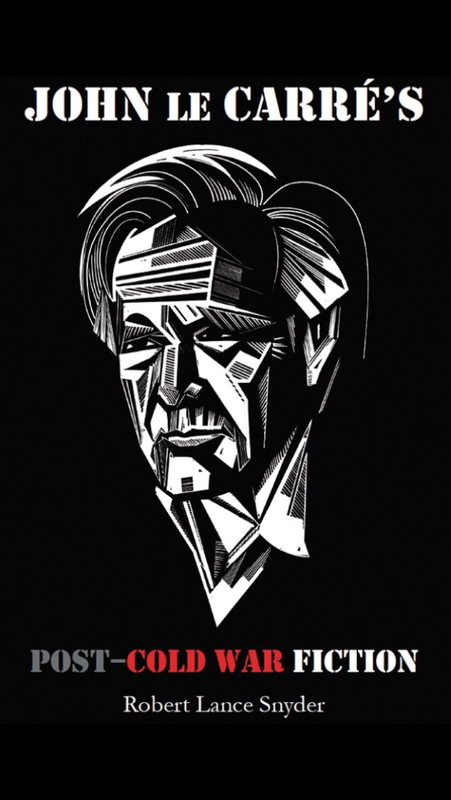 RLS: You’re probably right about the longevity factor, but I also think that le Carré’s swerve in his twenty-first-century fiction toward more encompassing issues of global social justice has much to do with his revaluation. Lately, as you point out, he has spurned literary accolades because of his earlier marginalization by the mandarins of canonicity. Even though le Carré professes to be uninterested in academic studies of his work, I plan to send him a copy of my book via his “Productions” address, though I do not anticipate receiving any response. Next Friday will see part two where we begin to discuss le Carré’s work specifically and how it changed with the end of the Cold War. Purchase the book directly from the publisher here and on Amazon for pre-order.